Real life running with friends in an epic, world-wide turf war! Looking for motivation? A way to connect with other active friends? 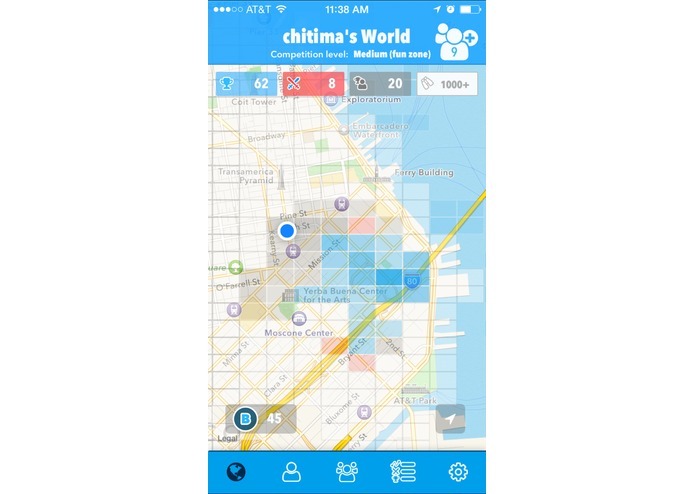 Maybe you just want a heat map of your daily activity and the places you go. Capture turf using passive GPS and activity tracking in a personalized game of territorial conquest and exploration. 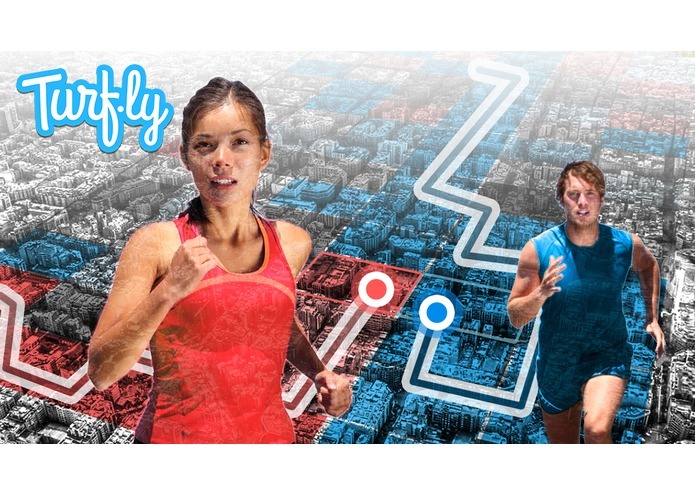 Turf.ly is simple: it makes outdoor running (and walking) into a fun, social game. The always-on activity tracker collects points in neighborhood blocks of “turfs” as you run and walk through them. The player with the most points in the turf captures it, turning it blue, and the more points you have the darker it gets. Compete with your friends, family and neighbors as rivals to capture your favourite turfs along your running routes, your walks to the bus stop or even through shopping malls. 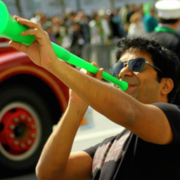 Find nearby turfers and encourage your friends by giving them kudos whenever they do a long run. Unlike other running/walking apps such as Endomondo, Runtastic, Runkeeper, MapMyRun, MapMyWalk, Breeze and Moves, Turf.ly does not track performance metrics for your runs, so you should stick with your previous runtracker app too. Turf.ly is all about motivation to get outside and have fun running to compete with friends over time. 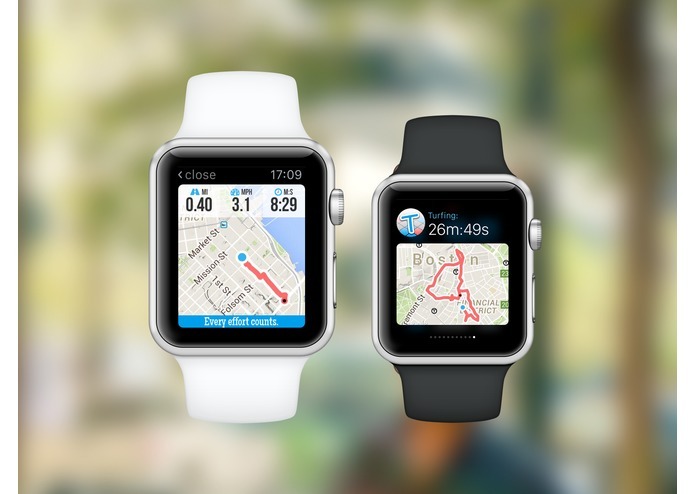 We have built an apple watch app, and already submitted to the Appstore. 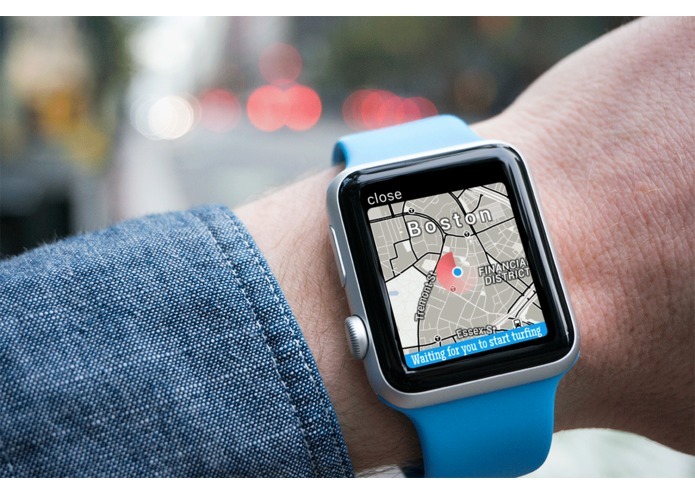 Get ready for some Turf wars using your AppleWatch.